ABC Indigenous has greenlit a new comedy series, KGB, for iview. 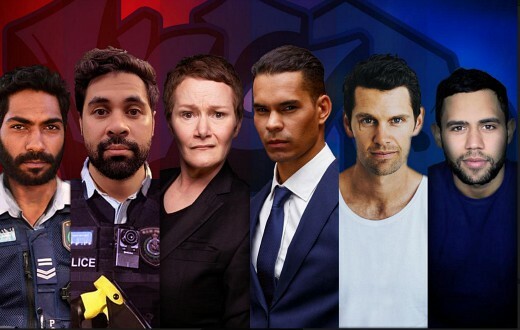 Set in Perth’s “notorious KGB (Koondoola, Girrawheen, Balga)”, the series follows two rookie detectives, tough guy Jack and gentle giant Nigel, as they deal with the chaos of their new jobs, no-nonsense boss, work rivals, drug dealers and culprits who consistently turn out to be family members. Despite battling their own insecurities at every turn, and the fact that Jack bullied Nigel in high school, these two might just turn out to be KGB’s finest detectives. The series features Clarence Ryan (Wrong Kind of Black, Cleverman, Wanted), Bjorn Stewart (Black Comedy, Get Krack!n), Genevieve Morris (No Activity, Bloom, Comedy Inc.) Mark Coles Smith (Pawno, Last Cab to Darwin, LIFT), Aaron McGrath (Mystery Road, Glitch, Jasper Jones), WAAPA alumni Jesse Phillips and indigenous theatre stars Lynette Narkle and Amy Smith, as well as a number of up-and-coming Western Australian performers. Created by Western Australian filmmaker brothers, Luke and Dan Riches, the series emerged through Screenwest’s and ABC Indigenous Online Initiative – Originate. “We were surprised to be selected given the competitive field of applicants, but also super thankful and excited for the opportunity Screenwest and the ABC are providing us. KGB will allow us to explore our creativity in a whole new genre.” said Writer/Directors, Luke and Dan Riches. “I’m so glad KGB won because I really want to watch it! I feel very privileged to be selected by Screenwest and ABC as EP, and I’m excited to be mentoring Luke, Dan and our Series Producer, Taryne Laffar. This opportunity is a real coup for Mad Kids as it will allow us to support emerging indigenous Western Australian talent, as well as produce a show that we think is bloody funny,” said Lauren Elliott, Executive Producer. Filming begins next week in Perth.